Today we get a behind the scenes look at the work of a beginning interpreter and translator. I’ve spoken to a last year student of the Interpretation department, Alexandra. In spite of being so young, she’s already got valuable experience working as an English – Russian interpreter during political official meetings, as well as Chinese-Russian translator. 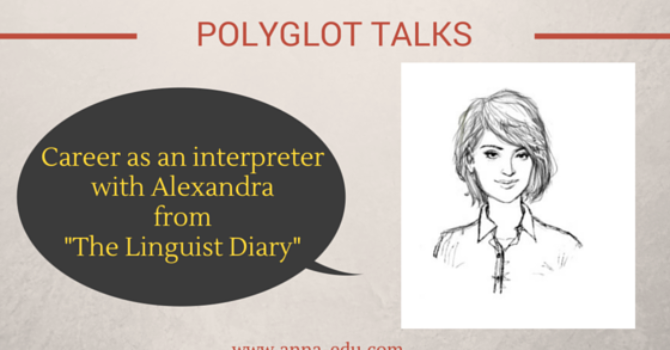 Alexandra shares her experience in VK group and on her website The Linguist Diary.